Your stay-inside child thinks a "hands-on nature experience" means typing "bugs" in a computer research bar and finding pictures of beetles. Could he have "nature-deficit disorder"? In the summers of my young childhood, I awakened to dew-spangled Carolina mornings and the joyful prospect of collecting duck eggs with Eli McDowell, my papaw. (For the uninitiated, that's Tarheel talk for grandfather.) By the time I was old enough to visit alone from my native South Carolina, my grandparents had retired, but they still kept a few animals from farming days at their home in Archdale. I loved their ducks, and feeding them and collecting duck "aigs" with Papaw down at the "branch" were my favorite activities during my visits. Sniffing the new-made cool morning air, redolent with a sweet country fragrance I can't pin down now, Papaw and I would slip out down the back steps of my grandparents' home, and, holding my hand - all six-feet-plus of him managing somehow to grasp it without undue bending, he'd walk with me down a grassy slope to that little creek. Then he'd let me help feed the ducks and gather big brown eggs to take back to Mamaw at the house, where she'd fry 'em up for breakfast and we'd eat 'em fresh and hot with her biscuits and country ham. To my mind, it didn't get better than that. These times are among my most distinct early memories, and I have a theory as to why: They're so strongly connected to nature. Of all the things my grandparents and I did together, none are so vivid, or as delightful to me to recall, as those that took us outdoors. Such excursions, added to many other youthful outdoor experiences, left me on a first-name basis with nature. Today's children, on the other hand, are lucky to have even a nodding acquaintance with the outdoors because of the lure of information and entertainment technologies, fear of "stranger danger" and lack of opportunity or inclination. As child-advocacy expert Richard Louv explains, "Americans around my age, baby boomers or older, enjoyed a kind of free, natural play that seems, in the era of kid pagers, instant messaging, and Nintendo, like a quaint artifact... Today, kids are aware of the global threats to the environment - but their physical contact, their intimacy with nature, is fading." This has left modern kids with what Louv, in his book Last Child in the Woods, calls "nature-deficit disorder" - not a medical term, but a description of what results when a child is alienated from nature. The human costs of this child-nature alienation are high, according to Louv: for example, increasing levels of childhood obesity, depression and attention-deficit disorder, even lack of creativity. In Last Child, he explores the nature deficit of today's young and argues that "healing the broken bond between our young and nature is in our self-interest, not only because... justice demands it, but also because our mental, physical, and spiritual health depends upon it." 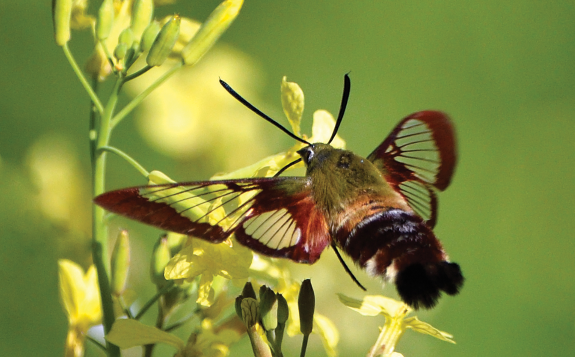 Other voices crying in the wilderness agree with Louv's diagnosis, among them naturalist Rudy Mancke, professor of natural history at the University of South Carolina and retired co-host of SCETV's Nature Scene. Mancke wryly declares, "Putting your hands on a computer keyboard is not a hands-on experience! Our children today have access to so much information through their computers, but they're lacking in the most important thing of all, a hands-on experience [with nature]. This to me is frustrating, but what I've always done about it is take everybody I can on walks in the woods. You know what happens? It doesn't matter whether they're rich or poor, intelligent or not, or whether they have lots of precise information about nature or very little - the feeling, the experience, the excitement is therapeutic to people. I've seen it change people's lives." Time spent surrounded by outdoor green is indeed therapeutic - Louv dubs green spaces "nature's Ritalin" - and research indicates such time pays dividends in social, creative and academic development: Research at the University of Illinois reveals that children who interact with nature show significant relief from symptoms of attention-deficit disorder. Various studies conclude that play in natural settings draws more cooperation and creativity from children (child-created games) than does play on grassy game fields or paved playgrounds. Countless youngsters could use the life-changing experiences nature offers, but how do we deliver to them? 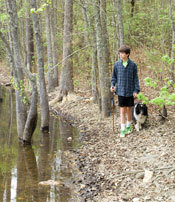 Louv observes that it won't be easy: "Our society is teaching young people to avoid direct experience in nature. That lesson is delivered in schools, families, even organizations devoted to the outdoors, and codified into the legal and regulatory structures of many of our communities." How is the lesson delivered? Through schools that eliminate recess, parents who encourage computer literacy at the cost of outdoor play, outdoor organizations that dilute their nature emphasis to attract more kids, and communities that forbid building outdoor play structures like forts and treehouses - to give only a partial list. Can this societal "hands off nature" lesson be unlearned and a new nature-friendly one be inculcated into young people? Louv believes it can, and the Palmetto State harbors many far-seeing parents, schools and others leading the way. 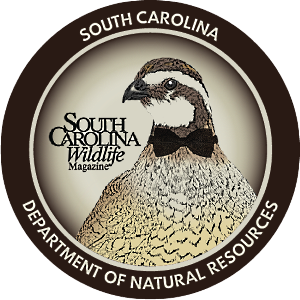 On the front lines of the nature-child reunion campaign are South Carolina's governor, Mark Sanford, and John Frampton, director of the S.C. Department of Natural Resources. The two have joined governors from several other states, along with staff from The Conservation Fund and the U.S. Fish and Wildlife Service, and author Richard Louv to conduct a national conversation on this topic. (Read more about this national forum in National Leaders Band Together for Action sidebar.) Then there are DNR staffers like law enforcement's First Sgt. Lynwood Kearse. As state coordinator for Take One Make One (TOMO), a youth-recruitment program for hunting and fishing, Kearse believes organized efforts like TOMO can strengthen parents' hands in getting kids outdoors and in making the transition positive. Seasideward, Elizabeth Vernon, coordinator for the Carolina Coastal Discovery program, and her crew, offer kids first-rate ways to dive into a closer relationship with nature. Aided by the education vessel Discovery, ocean-going staffers help kids explore state marine resources, while many other DNR education programs, including Camp Wildwood, a week-long outdoor camp experience for high-schoolers, sponsor outdoor fun in other arenas. Our schools are jumping on the bus, too. 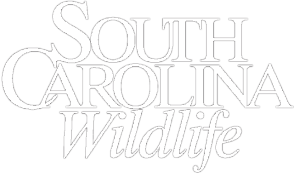 The National Wildlife Federation, for instance, has certified 148 Schoolyard Habitat Sites in South Carolina - a number second only to Georgia nationwide - with about 89 percent of the sites at public schools and the rest at private institutions. One of these, Greenville's Southside Christian School, nurtures a flower garden and wildlife habitat, both tended by eager kindergarteners. "Students plant flowers, herbs, bulbs and other plants, prepare the soil and weed on a routine basis," says Southside principal Jo Dillard. "They refresh birdbath water, feed the hummingbirds and learn the sounds and songs of birds. They compost soil and raise earthworms. Later they grow seedlings in the rich soil they've composted and transplant them into the garden." Southside teachers are enthusiastic about the awakened senses, improved coordination and academic enhancement resulting from students' engagement with the outdoors. Not to be caught sitting indoors, South Carolina's public schools are beginning to move outside, as well; so says Ed Falco, of the State Department of Education, reporting on the SDE's four-year-old Environment as Integrating Context for Learning program (EIC). Boil the label down, and you have a promising system for teaching every subject via outdoor classrooms. Improved school attendance, discipline and grades are fruits of this innovative eighth-grade initiative, with nine schools statewide voluntarily participating. "It's a year-long study in all content areas," says Falco, "and students give back to their communities through service-learning activities tied to academic standards. Take Pickens Middle School, whose students helped their town reestablish a nature trail, build an amphitheater and put in native plants along the creek." DNR program coordinator Joy Sullivan, mentor for the growing EIC, says the beauty of the plan is that a school's own teachers, working within their own disciplines, maintain the program. 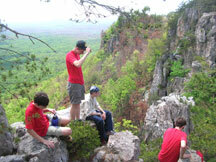 What of those venerable scouting organizations that have so long introduced youngsters to the outdoors? Are they kowtowing to pressure to move toward indoor activities? 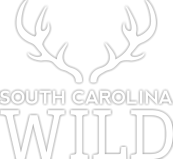 Not according to Vance Lackey, assistant Scout executive for the Midlands-area Indian Waters Council, Boy Scouts of America: "Boys in the Boy Scouts know we're about the outdoors. We do have a badge that has to do with computers, though." Nationally, the organization's enrollment has seen a slight decline, but Lackey's eight-county area is enjoying heartening expansion. More encouragement: About 80 percent of Indian Waters Scouts go camping at least every other month. 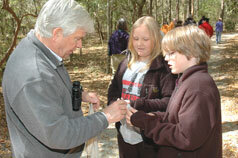 Among the ladies, there's a clear divide, says Heather Leigh, program director for the Congaree Girl Scout Council: "We have girls who are interested in nature, and we have a lot of nationally recognized programs to appeal to them. We try to draw in the less nature-oriented girls with outdoors projects based in their own areas. You must make it personal to attract these girls to nature." 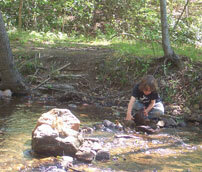 Whatever may be on offer at school or elsewhere, a child's interest in nature usually begins with regular play in his own back yard, and parents must encourage such play deliberately - maybe even cut back on structured activities to gain the necessary unstructured time - if a lifetime fascination with nature is to be created. I like the way Deborah Churchman puts it, writing to parents in the journal American Forests, as quoted by Louv: "Your job isn't to hit them with another Fine Educational Opportunity, but to turn them on to what a neat world we live in . . . ."
Although there are no overnight strategies for reconnecting our children to nature, says Louv, there are things we can do to facilitate the bonding: pull the plug on frequent computer and TV viewing; insist that our schools move some classes outdoors and that doctors prescribe outdoor play as primary medication for youngsters; encourage preservation of urban green spaces and establishment of safe outdoor-play places in residential areas; and if we ourselves are handcuffed to the computer or TV, take off the bracelets and get outdoors with our kids. "Here's the bonus," Louv notes. "When we give our children the gift of nature, we gain all the same benefits they do - the stress reduction, the longer attention span, the renewed sense of wonder." Now, if you'll excuse me, I'm going fishing down at the branch. Then I'll sit under my grandparents' old crabapple tree and nosh some fruit while I gaze at the clouds and dream. Join me?